Sevatec founder and CEO Sonny Kakar is among the finalists for the Greater Washington Government Contractor Awards​ — better known as the GovCon Awards — in the Executive of the Year category for companies between $75 million-$300 million. 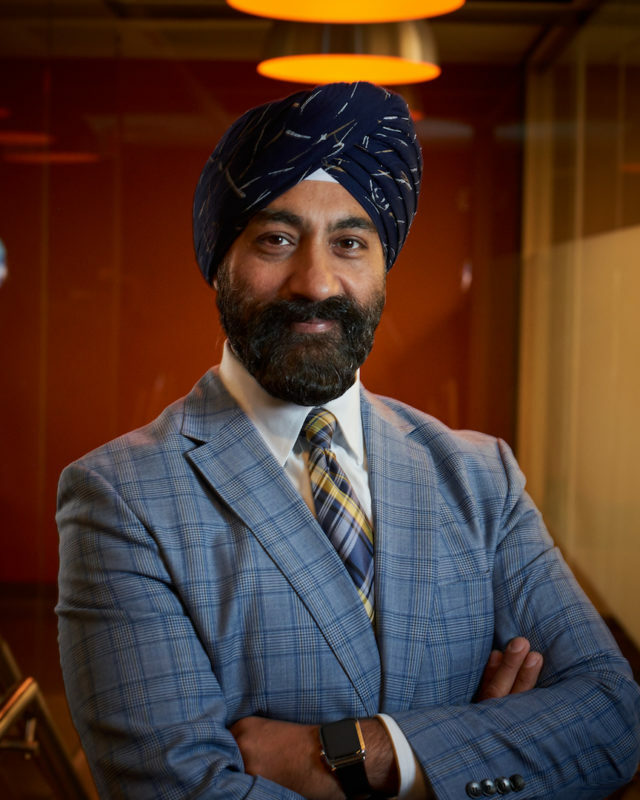 WashingtonExec spoke with Kakar about the company’s evolution, what makes him successful and how he embraces the “Seva” mindset outside of the corporate walls. WashingtonExec: How has your organization changed over the past year and what makes you optimistic about winning GovCon Awards in your category this year? Kakar: We have restructured our company to put a laser focus on the mission of our customers and quickly respond to the imperatives that drive modern technology advancements. Our operational structure has been flattened so that corporate operations can invest more time in listening and understanding customer stakeholders and missions, supporting delivery teams with modern IT, data, cloud and security strategies, and researching and introducing innovations that directly impact performance and successful outcomes. We have fully shifted to a full and open business mindset, adding key new leaders with a proven record of unrestricted success. We have become the new “right sized” company in the federal government – a highly competent mid-tier company that has a strong history of consistent success, a company that is known as a leader in technology innovation and modern IT advancements, and a company ingrained in a culture of service and responsiveness to our customer’s growing needs. We’re optimistic about being recognized in this category this year because we’re a company that is one of the most progressive and values-based companies in the industry. We serve client’s missions, we measure our success by the outcomes and impacts we make, and we make decisions in the best interest of every stakeholder. WashingtonExec: What personality traits do you possess that you attribute to your success? Kakar: The traits I’m most grateful for, influenced by my faith, my family, and the many wonderful colleagues I’ve been fortunate to be shaped and mentored by over the years, are honesty, courage, compassion, and forgiveness. These traits enable my leadership team and me to drive the future of the business, take measured risks, and build a company the industry and our colleagues respect and are proud to be associated with. WashingtonExec: How do you embrace the Seva mindset outside the office? Kakar: “Seva” means “Inspired to Serve a Greater Purpose,” and this core value of sustained and caring service is reflected in every relationship – with employees, clients, partners, and the community. I remain strongly dedicated to proactive participation in community service, and volunteer whenever I can. In 2016, we launched SevaTruck Foundation, a nonprofit 501(c)(3) that cooks hot, free, meals in our mobile food truck at Title 1 schools and veteran shelters across the DC metro region, three to four – times every week. So far, we have served over 30,000 meals to children and veterans and remain committed to supporting our community in any way we can.